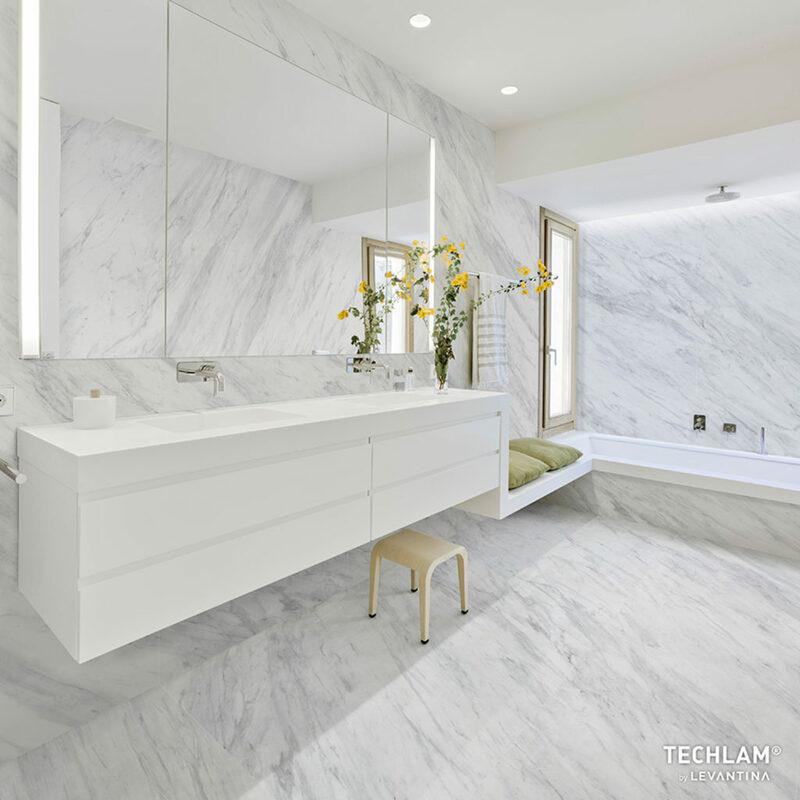 Description: The dazzlingly white background of TECHLAM® Milos Bianco serves as a stage for the playful deployment of its subtle grey veining. A porcelain material that creates style. TECHLAM® is a porcelain tile, 3 mm and 5 mm thick, which is sold in panels of up to 1000×3000 mm. Its large size and minimal thickness make this porcelain the best solution for floors, walls, façades and other architectural and decorative uses.